When it comes finding books to teach reading, I have one program that I absolutely love for preschoolers and beyond. It’s a new reading program for kids that involves teaching them through all their senses. And I thought you all would love it too! Especially because it’s great for all kinds of learners. In the past, when I found books that were focused on teaching reading to preschoolers, I usually skipped them. Instead, we worked on letter sounds in a meaningful way. But that was because those books to teach preschoolers to read were not at a preschooler’s level. Preschoolers learn through movement, through touch, and through hands-on play. And I wasn’t even tempted by the reading programs that were not in the best interest of young children. Then I found a program that is child-centered and focuses on teaching children right where they are at! ABC See, Hear, Do is a game changer when it comes to teaching children the foundations they will need to learn to read. Plus, it is super fun and inviting. I love these books so much that I asked the author to write about her reading program for kids and to share her own story of how she came up with this brilliant concept. Right now she has two books out with a third on the way! Book 3: ABC See, Hear, Do 3 NEW! 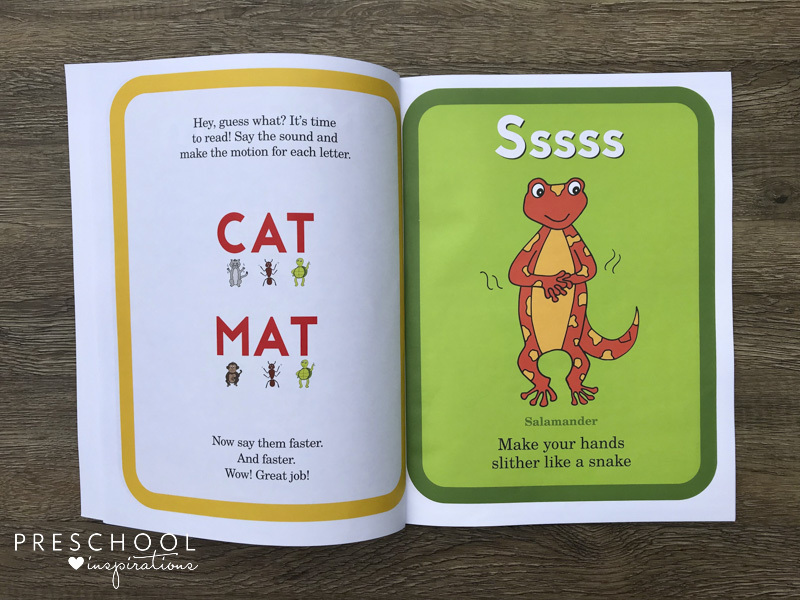 These books are a game changer when it comes to teaching children letter sounds and how to blend those together…which leads to reading! My own kids love these, and I think every preschool would benefit from this approach. Hi everyone! My name is Stefanie Hohl and I am the author/illustrator/creator of the ABC See, Hear, Do series. I am also Mom to five crazy kids who has homeschooled a few of those kids at various times, and because, you know, five kids, I’ve taught preschool co-ops for years. I also have a Masters of Education in Curriculum and Instruction with an emphasis in Children’s Literature. As you can see, I’m a big fan of books and teaching. I’ve also always had a special interest in teaching kids to read. I taught my three oldest children to read using various methods. Then my fourth child had a preschool teacher that taught letter sounds using actions. Genius, I thought, as I watched my son pick up the letter sounds much more quickly than his older siblings. I remembered this method later when I began teaching my youngest child to read. 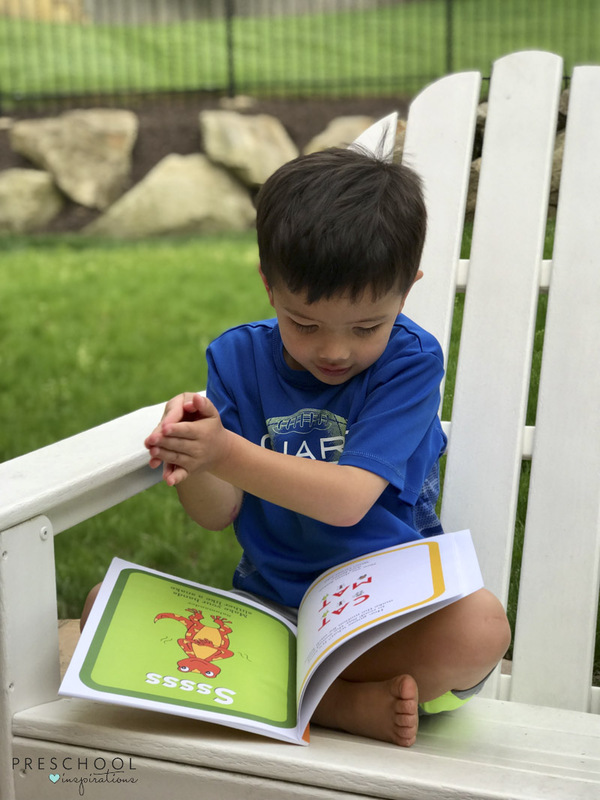 I’d learned quickly that he is a very different type of learner than my older kids, and I knew I needed a more active approach to teach him to read. In pursuit of this goal, during one of my graduate classes, I chose to research methods of teaching children to read. My goal was to find a method of teaching reading that not only used actions, but that was also parent-friendly. 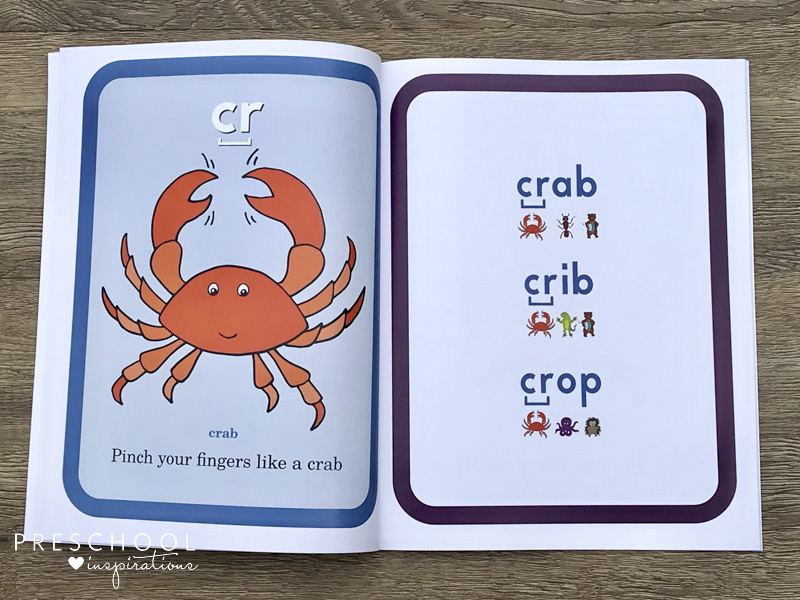 As I researched, I found that while there were preschool-focused curriculums that used actions to teach letter sounds, none could be found in a simple picture book format that would be easy for parents to use. I set out to create my own program. My first book, ABC See, Hear, Do: Learn to Read 55 Words, breaks the letters into groups of four. Each letter includes an animal and an action to go with it. After each group of letters, children can practice reading words that build on all the previously learned sounds. This method integrates visual, auditory, and kinesthetic learning styles, thereby allowing children to learn and retain the information more easily. Plus, it’s silly and fun and simple to use. I tested my method with many children and preschool teachers and got great results. But best of all was how quickly my youngest son picked up on the letter sounds and blended words together. Not only that, but he loved the book. For my older children, learning to read was often overwhelming. But the ABC See, Hear, Do method consistently held the attention of my youngest, and it was so easy to implement, it soon gave him the confidence he needed. These kinds of results confirmed for me that I had something special to share. 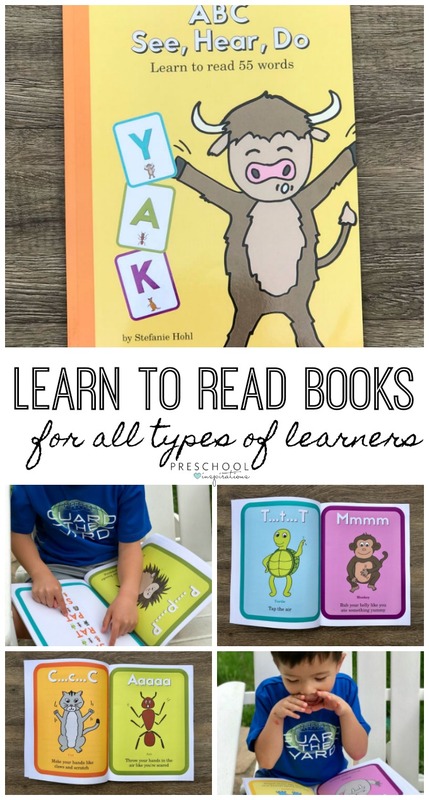 Even though the books were developed to help parents teach their children, it has also turned out to be a great resource for preschool teachers and librarians as well! 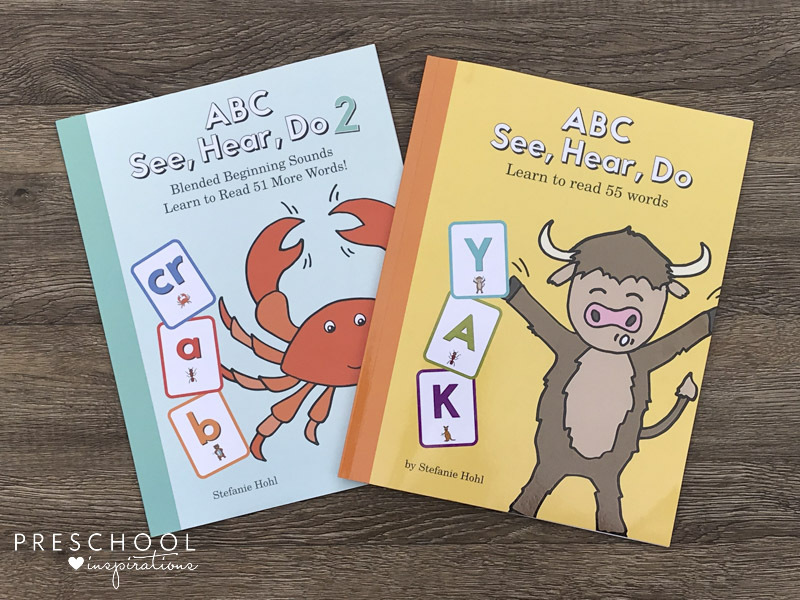 Our website, ABC See, Hear, Do, Facebook page, and Instagram account provide a wealth of crafts and activities to go along with each letter, which helps supplement learning in any setting, from home to a classroom, to a Storytime circle. We’ve also created numerous printables for purchase, including many different types of alphabet cards. These sets can be printed, laminated, and implemented in lots of fun ways to increase learning. Check out our blog for ideas and tips on using the visual alphabet cards. All kids learn differently, so of course, there’s no one method that will work for every single child. 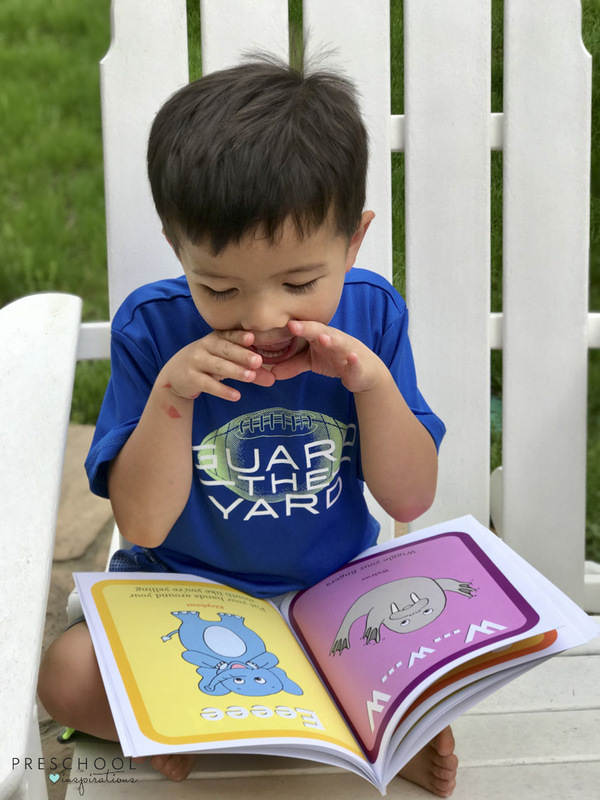 I developed my books with kids like my youngest son in mind – those who refuse to sit still and just aren’t interested in book learning. That being said, we’ve heard success stories from parents of all kinds of kids. 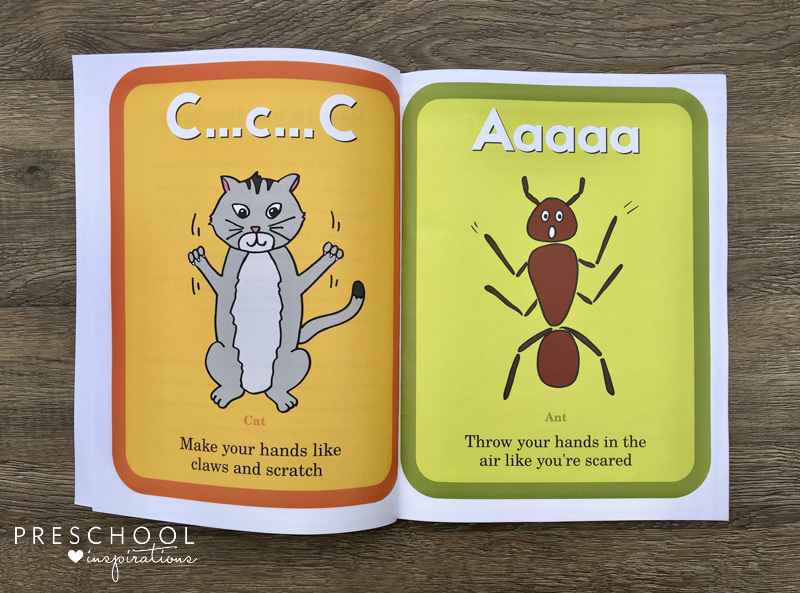 And that makes sense – by incorporating sight, sound, and movement, the ABC See, Hear, Do method appeals to all kinds of learners. There’s nothing better than seeing the excitement in a child’s eyes when he reads his first word. Hearing stories about how my books have helped children to read has been the most rewarding part of this journey, hands down. So if you’ve tried ABC See, Hear, Do, please tell us what you think! We love hearing from you!